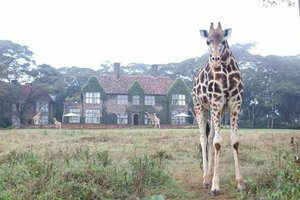 Upon arrival in Nairobi, you’ll begin this journey with a night at the one and only Giraffe Manor. Experience the romance of being on safari – starting with 2 nights at Rekero in the famed Maasai Mara, followed by 3 nights at Naboisho exploring the region and its abundant wildlife. Capping off with the luxurious Saruni Samburu where you will stay for 3 nights, which offers stunning views, a different geography and wildlife species, and different culture. 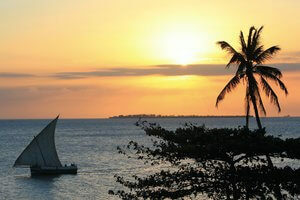 Ending with 4 nights on the tropical island of Zanzibar! Upon arrival at Jomo Kenyatta International Airport (JKIA), you will be met and transferred to the famous and completely fabulous Giraffe Manor where you will spend the night. Wake up in the morning and enjoy the company of these gentle giants as you get to know them over breakfast. 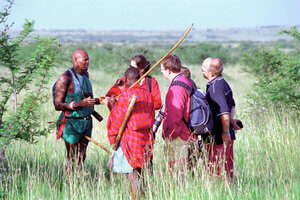 Transfer to Wilson Airport and fly to the famous Maasai Mara where you’ll spend two nights at Rekero Camp. Situated on the banks of the Talek River, you can delight in being serenaded by hippos at night. This area plays host to an incredible concentration and diversity of wildlife! Game drive en-route as you transfer to Naboisho Camp in the wildlife-dense Mara Naboisho Conservancy where you will stay for 3 nights. 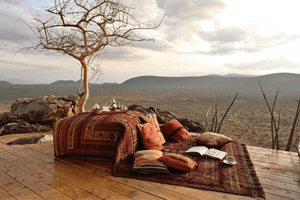 The camp is located on a private conservancy that allows for night drives, walking safaris (highly recommended!) and village visits. It’s also recognized as having some of the highest density of lion in all of Africa! Fly to Samburu and stay at Saruni Samburu for 3 nights for the ultimate in a luxurious and romantic getaway! Get to experience the Samburu culture, enjoy a spa treatment or two, relax by the pool and enjoy the epic views from this beautiful location. 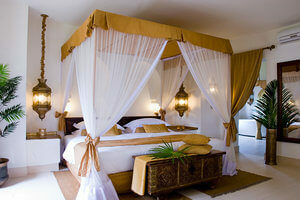 Fly to Zanzibar (via Nairobi) where you will be met and transferred to Baraza Resort & Spa for a 4 night stay. Relax, indulge, do as much or as little as you like! Time to head back home! Transfer to Zanzibar airport for your flight to Dar Es Salaam where you will connect with your onward flight arrangements.